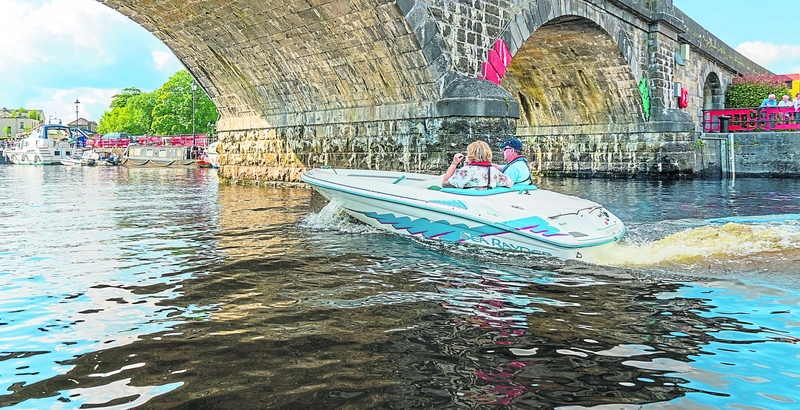 Carrick Carnival continues this week with daily fun and quirky events to keep you entertained. The Carnival Night and Pig Racing returns to Main St tonight, Wednesday June 6 at 7pm with stilt walkers, fire eaters, monster slide, Gladiator challenge and the popular Pig Races! ** The Ball Race will be held after the pig race tonight. Youth groups make a splash in the Shannon on Thursday, June 7 in water safety, diving, swimming and water polo. Thursday night is all about the jazz on MoonRiver featuring The Old Market Street Swing Band (Tickets €15). Prepare your tastebuds for Taste of Carrick on Friday, June 8 and sample delicious food and drink from around the region. Celebrity Chef Adrian Martin will be cooking up a storm too from 6-9pm. Kids will love the Magic Sand Art in the Peoples Park from 2-5pm on Saturday, June 9 - suitable for kids from 3-12 years. Also Hillario Spillaci will be performing crazy antics in The Market Yard from 2.30pm - 4.30pm. Saturday night The Red Hot Copy Peppers will be blasting out the tunes in the Courtyard, Murtaghs from 10pm - midnight. The Exploration Dome returns to Carrick Carnival by popular demand. The mobile planetarium is designed to explore science, astronomy, geology and geography in a fun and interactive way. €3pp at St Mary's Hall from 1-5pm. Sunday will have a Kids Fun Day in the Peoples Park, Street Fest in Market Yard from 2-4pm and a big closing with music by Rakish from 4-6pm.